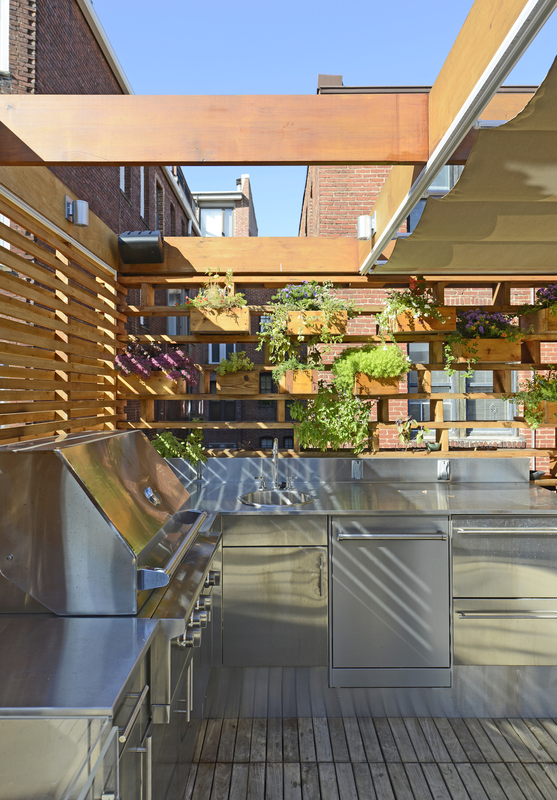 This roof deck maximizes the outdoor space for a townhouse with no backyard in Washington DC. 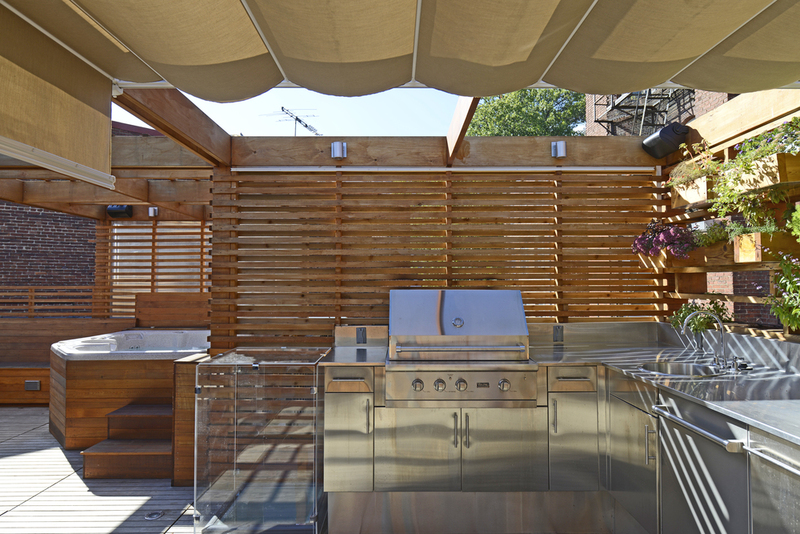 The project included a new stainless steel kitchen with gas range, sink and outdoor dishwasher. The existing skylights were preserved and covered with clear plexiglass boxes which can be used as extra table surface. 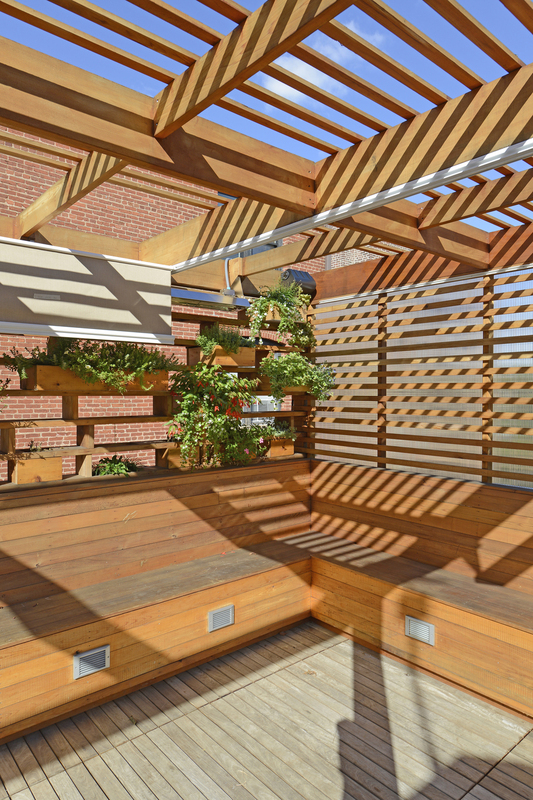 The rear planter wall was designed by archi-TEXTUAL and fabricated by Impact Construction. 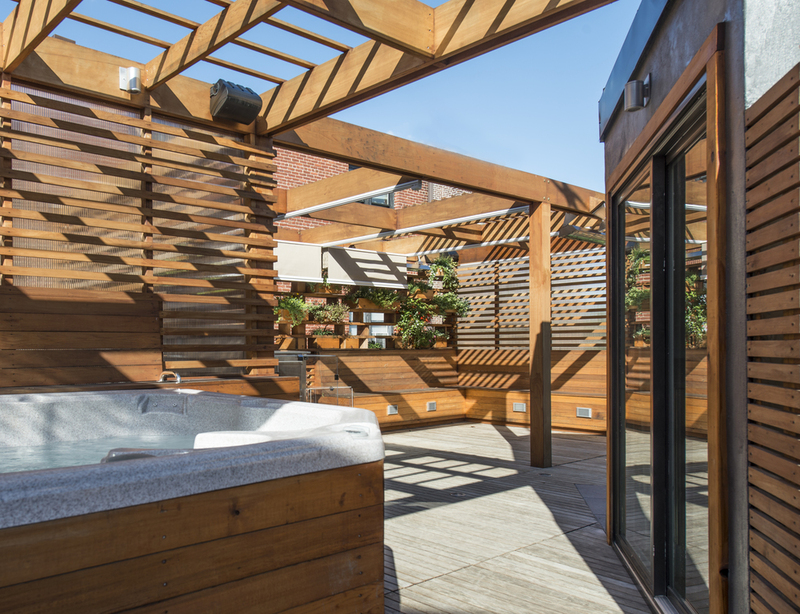 The Roof deck has a number of party tricks, including retractable overhead shades, an exterior projector for watching movies at night and surround sound audio. There is also a large hot tub and working gas fireplace. 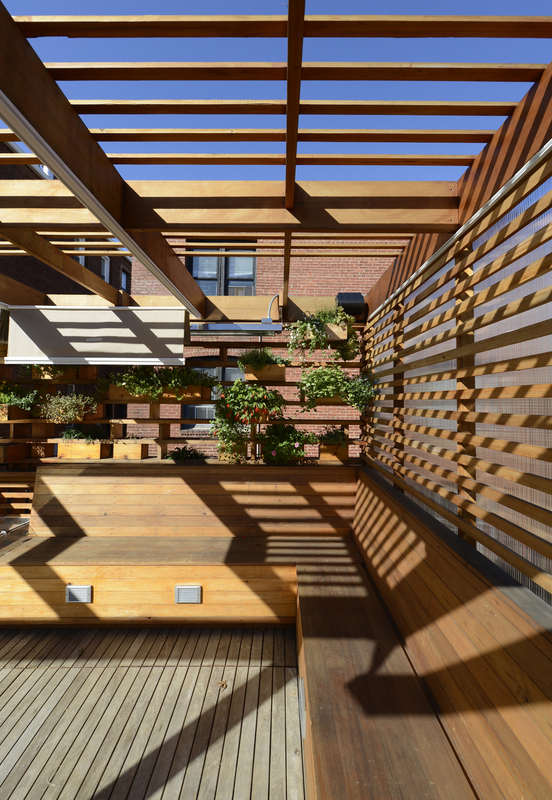 The project is located in a Historic District and received approval from the DC Historic Preservation Office. Part of the project including renovating an existing Powder Room into a full bath by incorporating an open shower with an invisible trench drain. 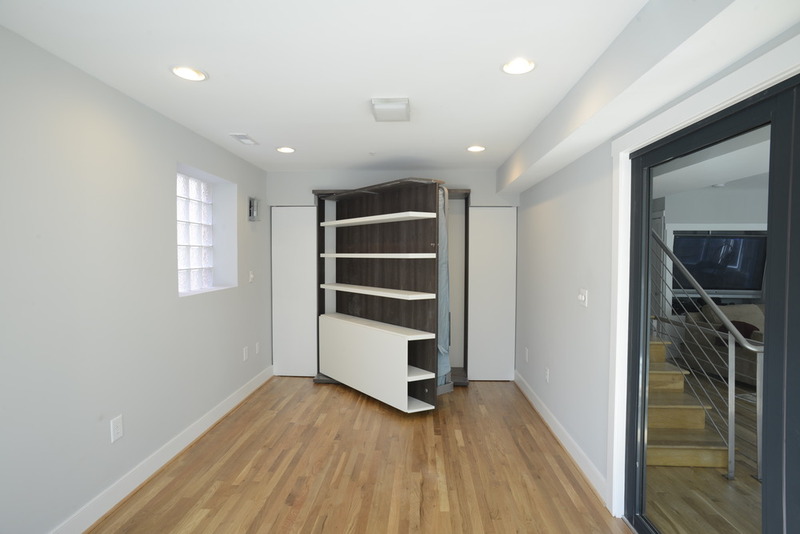 We also converted an existing underutilized dining room into a guest bedroom with the intervention of a murphy bed and invisible closet doors.